Why measuring CO2 is important? ANCOR SDN BHD is a company that provide solutions to our valued customers in various industries. We offer specialty and calibration gases, gas detection products, sampling and analysis instrumentation to meet various customers' applications for areas like oil & gas, petrochemical, power, marine, fabrication workshops, industrial and commercial products plants, laboratories, hospitals, research & development centres, education centres, hotels & hospitality industrial, retail malls, water treatment plants, sewage plants, telecommunication, residential units & condominiums and others. The wide range of industries we serve reflects the passion of our company to provide solutions to our customers. Moisture measurement in gas and solid application included dew-point transmitters, cooled mirror hygrometers, relative humidity sensors, process moisture analyzers, moisture monitor and moisture balance. Gas Detection System (Portable gas detector, fixed gas detector). Process analysers offer component gas analysis to suit virtually any process, combustion or emissions gas analysis application. Eg: Oxygen, Hydrogen, Ammonia, Methane, CO, CO2, H2S etc. High quality calibration gases and the supply of high purity gases and equipment. We supply precision custom-made gas and liquid mixtures for analytical and process applications in a full range of container sizes. 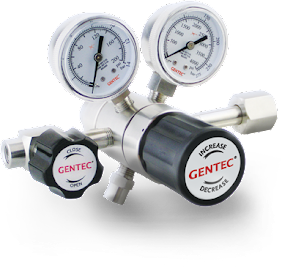 Gas and liquid control products - gas regulators, pressure regulators, fittings, valves, flowmeters and various gas control and handling devices.